I have been meaning to post this for a while, but Leven’s Coffee Company is OFFICIALLY re-opened in their new location at the Farmers Market on 19th Street. The address is 112 – 120 Sonnenschein Way, and it’s actually in the Ideas Inc building, which is right next door to the Farmers Market. We stopped in on Opening Weekend to pick up our coffee order that we put in on Moebius Syndrome Awareness Day, and got the “grand” tour of their new venue. We also got to see Ozzie Blend being roasted. It’s totally cozy and awesome – and Marie and Aaron were hospitable and hilarious… our conversation ranged from Art to Ron Burgundy. I always have fun when i stop in there. Aaron even got to hang out with The OzMan himself! So, if you haven’t been down to see Aaron and Marie, you should. 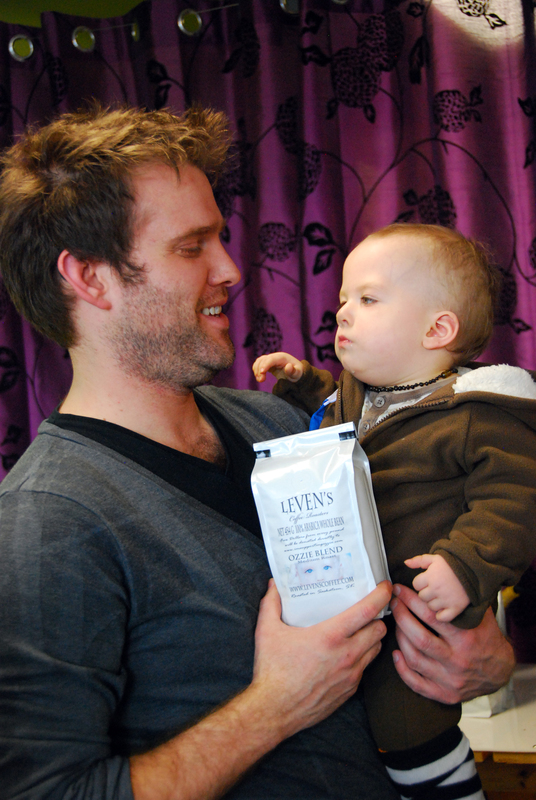 And if you need further convincing that this coffee is amazing – check out this fabulous coffee review!! 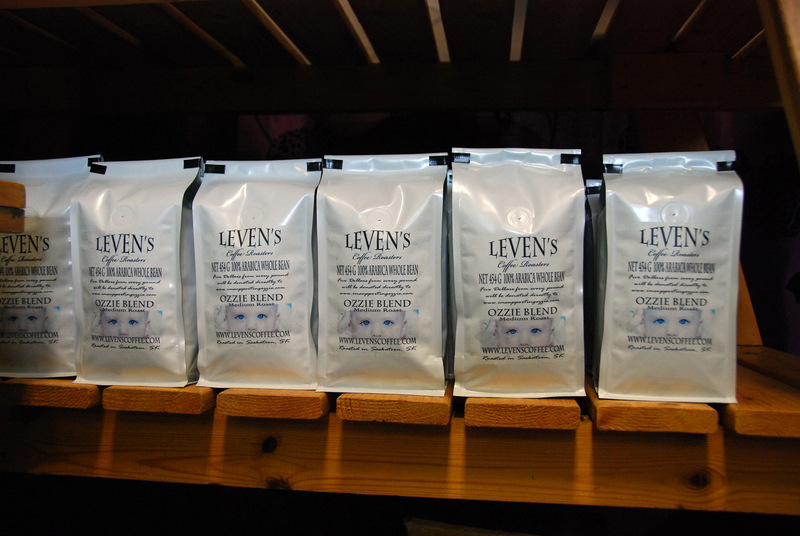 Bought my first (but not my last) Leven’s coffee yesterday – I’m hooked! Went with the Indionesian Blue Tawar (they’re out of Ozzie’s blend for the moment). What a great place, thank you for the introduction! Wow he looks like a Harms here!